Lexus Auto Repair Sacramento - Standard Auto Care Inc.
Lexus owners in Sacramento rely on Standard Auto Care for excellent auto repair. Our auto mechanics have many years of experience servicing and repairing these exquisite vehicles. Our auto repair shop is equipped with the latest tools and equipment, and our team is dedicated to ensuring your safety and satisfaction. For the past 20 years, we are proud to have earned the reputation as the leading auto repair shop in Sacramento and the surrounding communities. If you aren’t familiar with a certain make or model of a car, auto repair can become much more challenging. 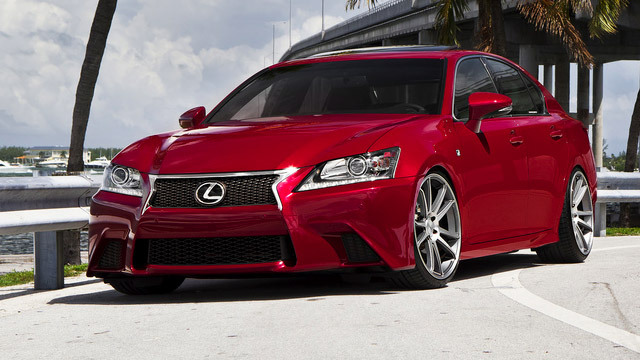 At Standard Auto Care, our auto mechanics have serviced and repaired a variety of Lexus cars. We know the Lexus engine like the back of our hand, so to speak. Because of our familiarity and recognition with this car, auto repair is quick, accurate, and thorough. We can quickly see when something doesn’t run, smell, or look right. In turn, we can also quickly correctly the problem. However, great Lexus repair is only one piece of the puzzle. We are committed to providing our clients genuine, honest service. We will clearly communicate with you throughout the entire process. All your questions will be answered quickly and honestly. Our waiting room is clean, comfortable, and complete with all the amenities. Our team also offers loaner car and shuttle service, for your convenience. If you are in the market for a family owned and operated auto repair shop, local to Sacramento, Standard Auto Care is your answer. You can find us at 2240 Colfax Street, Sacramento, California 95815 or give us a call. Feel free to contact us if you have any questions or to schedule an appointment for Land Rover maintenance or repair services. See you then!